Addition of files in tournament. Addition of members files in competition folders can be made in the different ways. 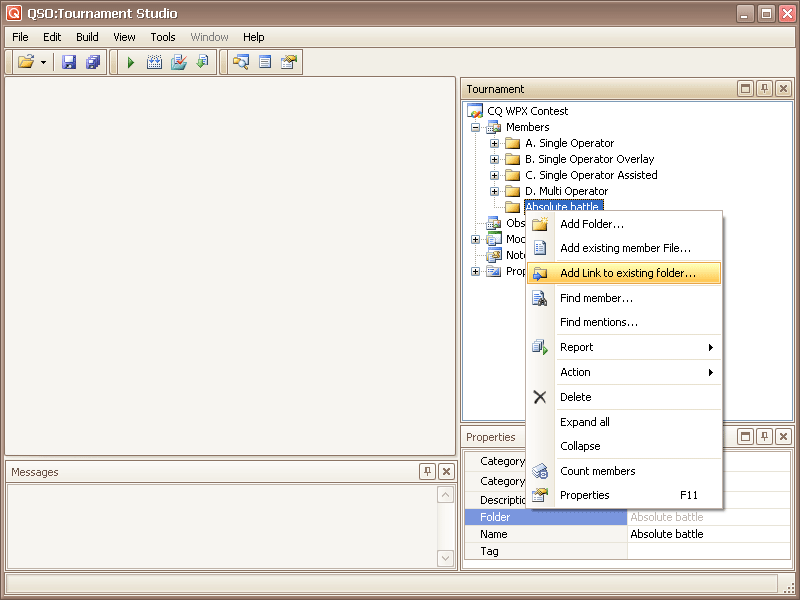 The premise of a file of the participant in a folder always creates a copy of an initial file in the specified folder of competition. The file of the participant lying in several different folders, is different files, changes of one of them in any way do not mention contents of the others. One file can be put in any quantity of folders. Way 1. Drag&Drop from Windows Explorer. Select a file or group of files in a system Explorer (it is possible and in other file processors) and drag its mouse on a tournament folder. If the copied file already contains in a target folder acknowledgement on its replacement is requested. Click the right button of the mouse on node of a tournament tree in which it is necessary to add a file of the participant (it can be node "Members" - root node of placing of files, or already existing folder). 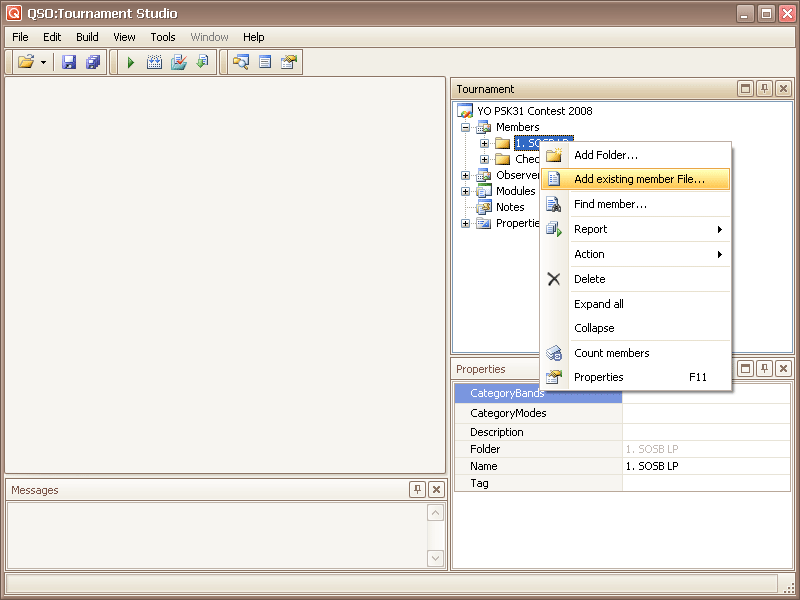 There will be a context menu in which it is necessary to choose "Add existing member File...". In the appeared dialogue it is necessary to choose one or several added files and to press button "Open". If the copied file already contains in a target folder - acknowledgement on its replacement is requested. Click the right button of the mouse on a file which should be removed. There will be a context menu in which it is necessary to choose "Delete". ATTENTION: After acknowledgement of operation the file will be irrevocably removed from competition and from a disk. How automatically move members files to test categories of a tournament tree? Add link to existing folder. In a folder it is possible to add references to other tournament folders. In this case at reports on this folder members from folders references on which are added will be used. It allows to form reports on several folders simultaneously. 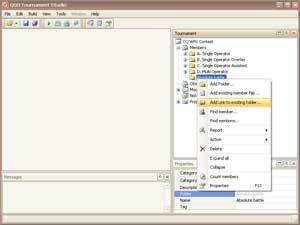 For link addition, allocate a target folder and choose from the contextual menu a command "Add Link to existing folder...". In the appeared dialogue specify the necessary folder (the target folder in dialogue will not be displayed).